Lombard Odier Investment Managers (LOIM), the asset management arm of Swiss private banking group Lombard Odier, has announced the launch of its first catastrophe bond fund, the UCITS compliant LO Funds – CAT Bonds. 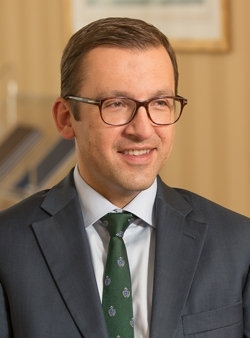 It’s the first strategy in insurance-linked securities (ILS) launched by Lombard Odier after it hired ex-Dynapartners and Falcon Private Bank ILS manager Dr. Gregor Gawron and a team to launch catastrophe bond and insurance-linked investment strategies for its clients back in August 2015. LO Funds – CAT Bonds will target a return of LIBOR plus 2% to 4% for its investors, allocating capital to catastrophe bonds only and due to its UCITS compliant nature offering its investors weekly liquidity as well. The Lombard Odier cat bond fund will invest in securitised cat bonds providing collateralised reinsurance with exposure primarily to regions with a high concentration of insured wealth, such as United States, Western Europe and Japan, the asset manager said today. Jan Straatman, Chief Investment Officer of Lombard Odier IM, commented on the launch of the cat bond fund; “Over the next few of years investors face enormous challenges with low economic growth, low yields and lots of volatility. We know our clients are looking for stable returns, income, capital preservation and lower correlation and traditional asset classes are not be able to deliver this. The fund will be managed by Dr. Gregor Gawron, and a team consisting of portfolio manager Simon Vuille (previously of Aeris Capital), portfolio manager Marc Brogli (previously at Dynapartners) and Stephan Gaschen, (an analytics and modeling specialist with experience in reinsurance, private banking and ILS). Between them, the team has over 50 years of combined experience in financial and insurance markets. Gawron, Head of Insurance Linked Securities at Lombard Odier Investment Managers, added; “CAT bonds were created in the mid 1990’s, after a number of significant natural catastrophes pushed insurers and reinsurers to find new ways to protect themselves against major events. Today, financial markets have proven to be an efficient way for the insurance industry to manage regulatory capital requirements, particularly in the context of Solvency II. The LO Funds – CAT Bonds is a Luxembourg domiciled UCITS structure, with share classes available to investors in USD, CHF and EUR. The fund had $25.4 million of assets under management as at the 31st March 2016, across all share classes, with investments in 35 cat bond positions. Lombard Odier IM’s new UCITS cat bond fund strategy is registered in Austria, Belgium, France, Germany, Italy Liechtenstein, the Netherlands, Spain, Sweden, and the UK.